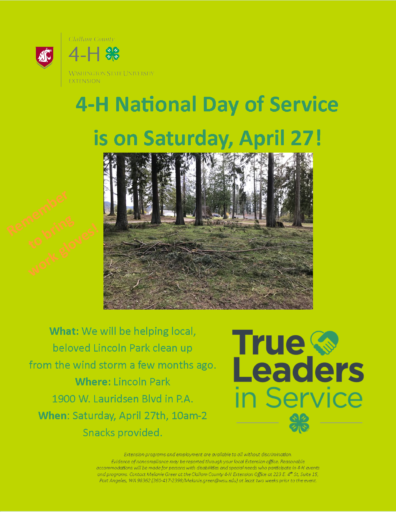 4-H National Day of Service is on Saturday, April 27th. 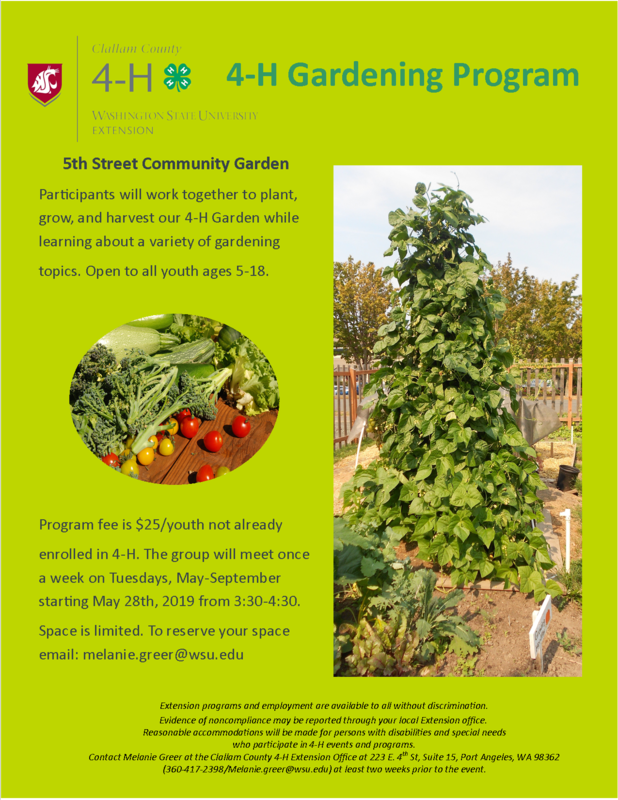 It’s time to put on your work gloves and meet us at Lincoln Park! 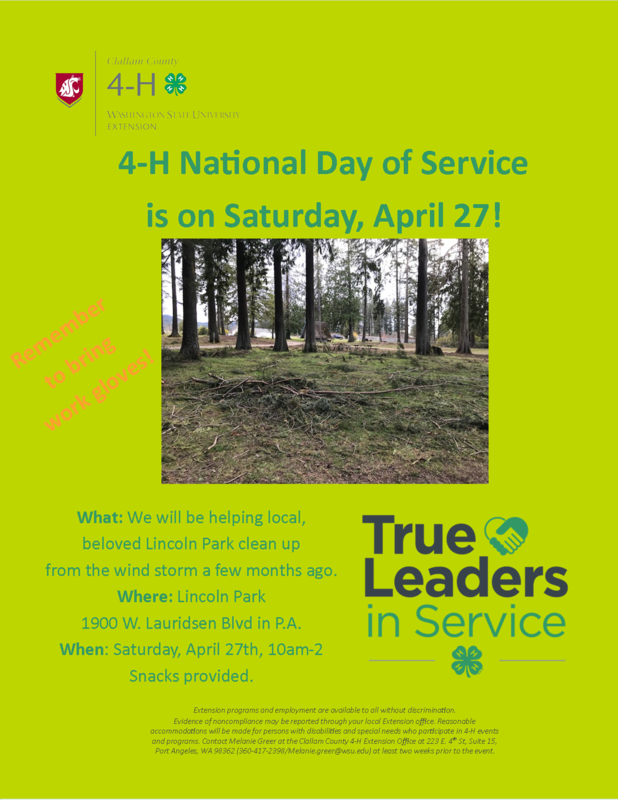 We will be there from 10am-2pm to clean up debris from the recent windstorm! 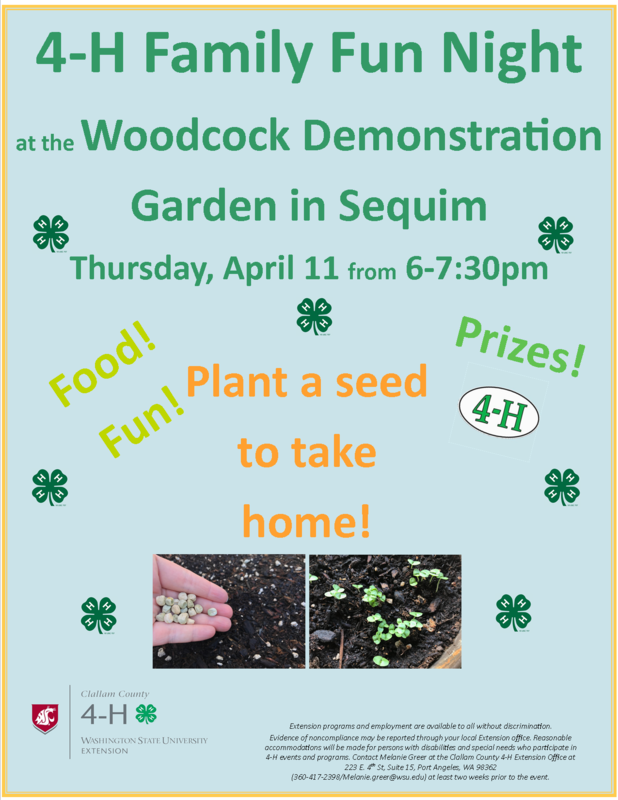 April 11th, from 6:00pm-7:30, we are taking 4-H Family Fun Night to the Sequim Demonstration Garden, where attendees will have the opportunity to pick a seed, plant it, and take it home to grow! Visit 4-H Online to submit enrollment for 4-H Clubs. Online enrollment is now open. 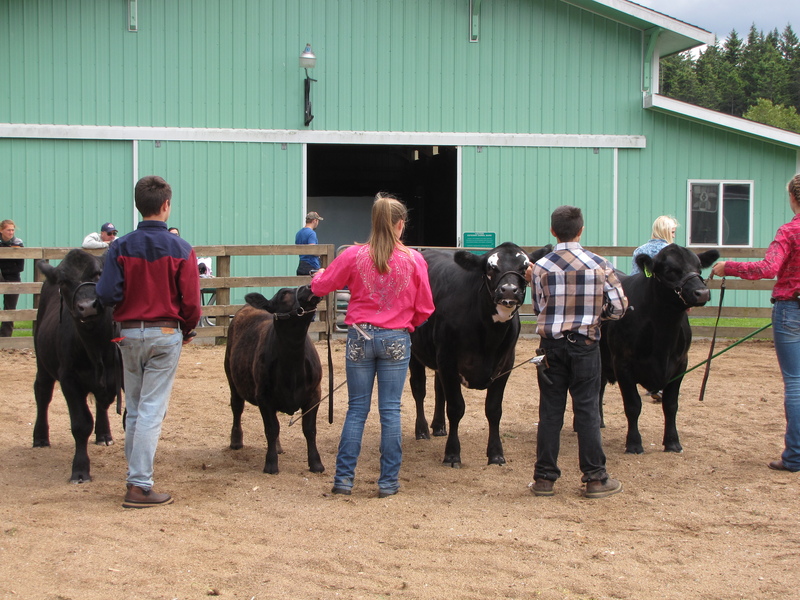 Visit our Join 4-H page for more details on joining a 4-H club. Persons with disabilities who require alternative means for communication or program information or reasonable accommodation need to contact Melanie Greer at 223 E 4th St, Ste 15, Port Angeles, WA at least two weeks prior to the event.